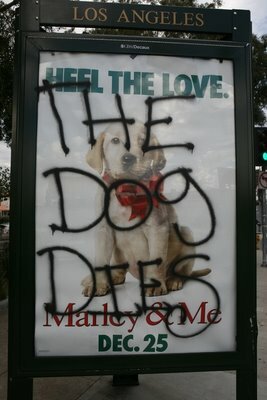 Having not seen this movie, which by the way is exploding box offices, I didn't realize the graffiti that has been showing up in Los Angeles is actually a movie spoiler. Given this, the messages are extremely disarming to the power the ad has to attract viewers. The ad may not itself be gone but the experience it is advertising is rendered useless through the added message by revealing the ending. This is an interesting distinction for me that I have never considered, being adamant about total ad removal except in the most specific cases. 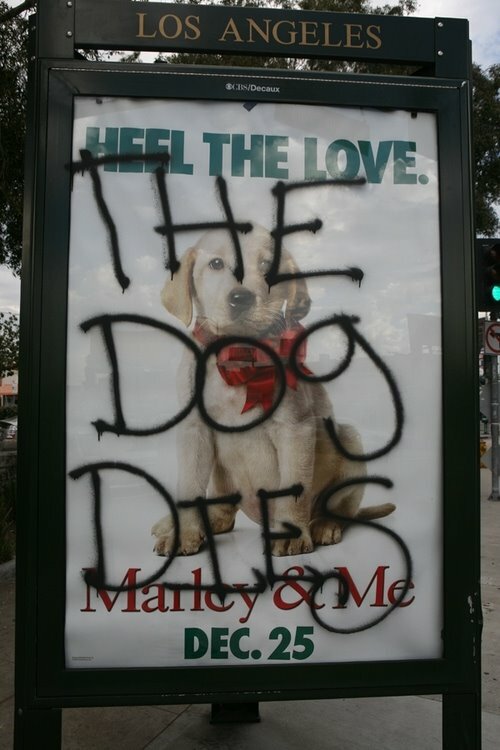 If this graffiti were placed over an ad for Coca Cola, the product would suffer very little. Since Coca Cola's objective is brand recognition first and foremost and not the actual product, the fact that the brand is not obscured would mean the ad remains potent. In advertising for movies and other products or services which rely on the actual product to promote itself, total obstruction of the ad is not necessary. A detournement, or witty alteration may suffice to destroy the ad as well as point to the moment of interaction and communication taking place between viewer and individual. 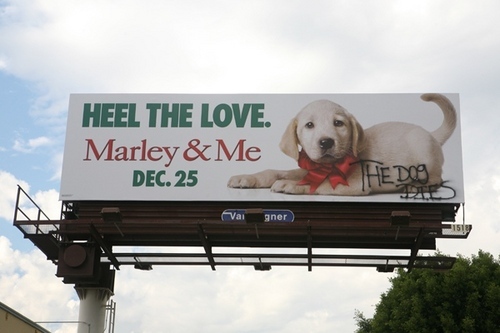 This is not to say that any scrawl over an advertisement of this type will take the air out of the ad and turn the campaign on itself. The content of the alteration must speak to the product and displace whatever authority it might hold. This acknowledgment opens up a method of taking back public space from advertising content I have been very slow to recognize but have come to respect through this piece. With that said, the objective of Public Ad Campaign is not to debunk advertising content, but rather to question its authority in the public environment and what adverse effects we are under because of it. Removal of the ad for individually created content is more to that point and speaks to an environment where the public creates content instead of reacting to it.